If Christmas wasn’t just what you asked for, there are 12 days of Christmas. 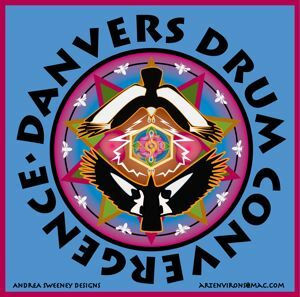 And we’ll have another Danvers Drum Convergence at the church on Saturday, January 5 — a whole week earlier than usual. We will meet at our regular time, from 6:45 to 10 p.m. Please try to be on time so we can meet, greet, and set up the good vibe. We always have something new to keep it interesting, whether it’s new instruments or new musicians or a storyteller with whom we drum. We supply a whole delicious smorgasbord of drums and percussion instruments from around the globe. If you don’t have a drum we have them for your use. No experience is required, you learn as you go. If you have a heartbeat, you can follow it to play a drum. Don’t be humdrum, come drum!